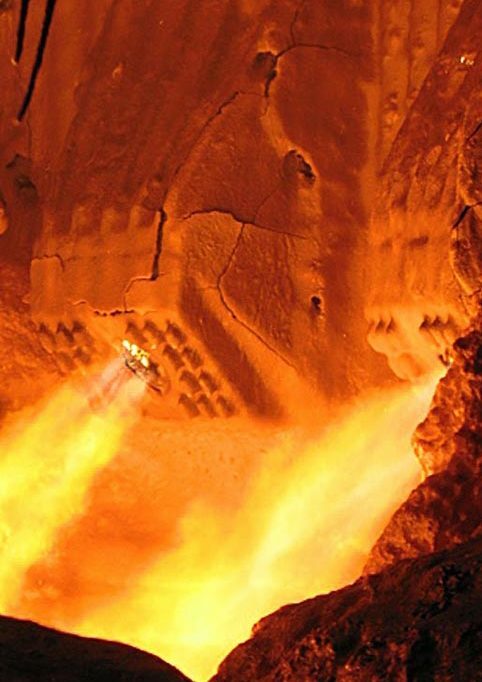 Fast metallic charge melting requires appropriate capability to manage the chemical energy in the most efficient way, according to the rapidly changing conditions within the furnace environment. The melting power and the metallurgical processes can be managed only by specialized equipment and careful process control to attain high productivity performances at minimum energy consumption. Sinergy between electrical arc power schedule and correct chemical action can lead to consistent savings in consumptions and time. Heat and melt down the metallic charge. Oxidize silicon, phosphorus, chromium and carbon. Correct the slag chemistry and control the iron oxide production. Limit the carbon monoxide output and control the combustion within the furnace. Protect the refractory lining from corrosive wearing. Specialized mechanical design completed by a dedicated assembly on the furnace layout. Fast and precise regulation according to the melting program and the process control.